What do you need? That is the question our own Mac Malachy will answer over the next few weeks as he tells you what each team in the NFL needs to go to the next level. 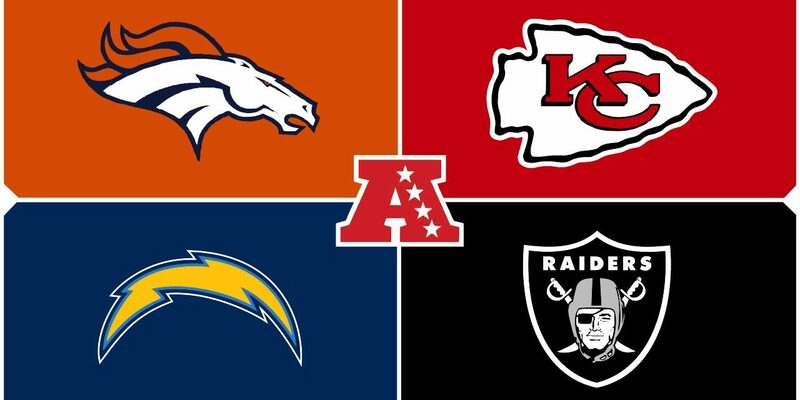 He gets things started off with the AFC West buy taking a look at what the Chiefs, Chargers, Raiders and Broncos need to add to compete for a super bowl in 2018. 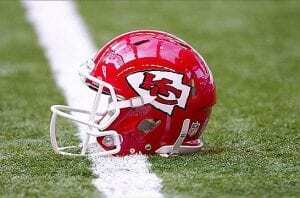 The Kansas City Chiefs have built a juggernaut on offense, but the defensive side of the ball has seemed to be ignored. With Tamba Hali and Derrick Johnson both now parting ways with the Chiefs and Marcus Peters now gone in a trade with the Los Angeles Rams, they have lost some grit and power. 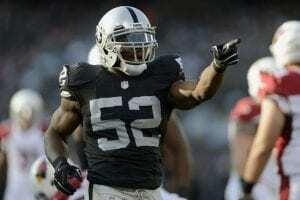 What they need now is a good pass rusher that would immediately mend the need they have created. Justin Houston is still an elite force, but spent more than 12 percent of snaps in coverage this season. Thats more than he has ever had to do in previous years in KC. 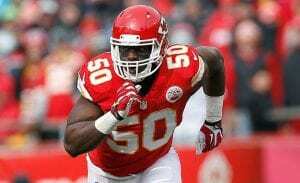 With Dee Ford having struggled with injuries each of the last two years and Tanoh Kpassanogh not near a finished product yet. This team would deeply benefit from another veteran pass rusher to help hold down the left side and give Houston the opportunity to have another season like 2013, where he recorded 22.5 sacks. Which was only good for the second most all time. This team is surprisingly one of the most complete rosters in the NFL as it stands right now. I say surprisingly because they have failed to the make the playoffs the last four seasons, but that should change this season. Writing a need for this team was hard because they are complete on both sides of the ball. 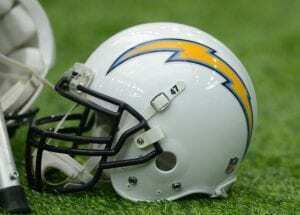 The defense is stacked with stars like Joey Bosa, Melvin Ingram and Casey Hayward. While the offense will have one of the best offensive lines in the game next year. Not to mention Melvin Gordon, who was seventh in the league in rushing and averaged four yards a carry in the 2017 season. Philip Rivers and Keenan Allen are one of the best WR/QB duos in the league and Hunter Henry along with Travis Benjamin help keep the offense diverse. All of that and I didn’t even mention their seventh overall pick from last years draft out of Clemson, Mike Williams, who struggled with an injury the entirety of the season. 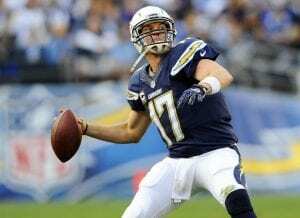 Rivers, now 36, is no way at the end of his career yet, but it is approaching and now is the time to draft and develop so when the time comes for Rivers to put up the pads, there is a qualified quarterback who knows the system and is ready to take the team the distance. Right now, if Rivers were to go down this season, it would be the 36 year old Kellen Clemens or the 25 year old Cardale Jones who has thrown just 11 passes and an interception in three seasons. 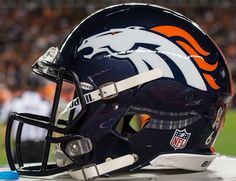 With John Elway getting his preferable free agent quarterback in Case Keenum the offense has taken a huge step up from the Lynch/Siemian era. However, the offense still has a lot of work to do. 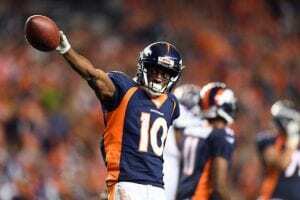 Demaryius Thomas along with Emmanuel Sanders both were unsuccessful at reaching the 1,000 yard marker this season, the first time neither of them have reached the mark in their years together. Quarterback play, injuries that Sanders dealt with on and off throughout the season and then most of all a lack of other weapons. Sanders and Thomas can not be the only focus in the passing game, this team should jump on a Wide Receiver in free agency and try to draft a tight end. CJ Anderson just had his first 1,000 yard rushing season and Devontae Bookers ceiling is higher than expected. Allen Hurns, a new free agent wide receiver from Jacksonville is an elite talent and would instantly make that offense scary. This defense has one of the best front sevens in the league. With Khalil Mack as their leader, Mario Edwards coming off the other edge, Bruce Irvin holding down the fort in the middle of the field and Justin Ellis blowing plays up in the trenches they look scary. Heck, they even have Reggie Nelson at safety who can really run the field and deliver the hits they need. That being said, they lack at the corner position. They got rid David Amerson to the Chiefs who was a starter on the team and TJ Carrie is coming up on a contract year. 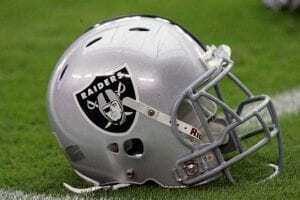 Past that the unit is extremely thin and with Oakland being apart of one of the tougher offensive divisions, they will have to be ready for some talented wide outs.